You are welcome to print this poem about the Shillelagh history. It kept you free from harm. With sword and shield and more. They found they’d met their match! Their lives they could depend. And to the stick they gave its name. 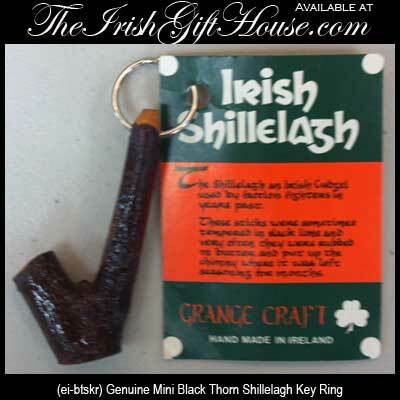 The Shillelagh key ring is a diminutive version of its big brother, the stout Irish club. The Shillelagh key ring measures about 3" long, not including the added metal ring for your keys. This Irish key ring from The Irish Gift House is crafted from genuine blackthorn wood and is made in Ireland by Grange Craft.